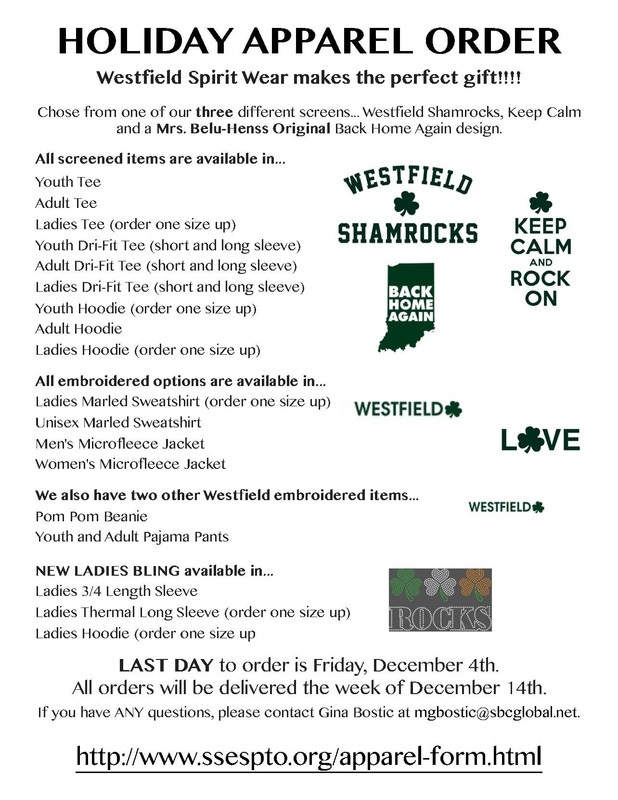 Get Westfield Spirit Wear for the holidays! Order here. Visit the online store and order here.